In 1950 the young Dr Peter Collingwood decided to abandon his medical career and dedicate himself instead to becoming a weaver. Collingwood developed a technical mastery over his weaving equipment, and tailored his creative output to what the loom would permit him to do, mindful of weaving at economic speed, with the future ‘repeat’ potential and marketability of a design ever in mind. He gained a reputation as a teacher, making many teaching visits to America, and produced four important books on the techniques and art of weaving. 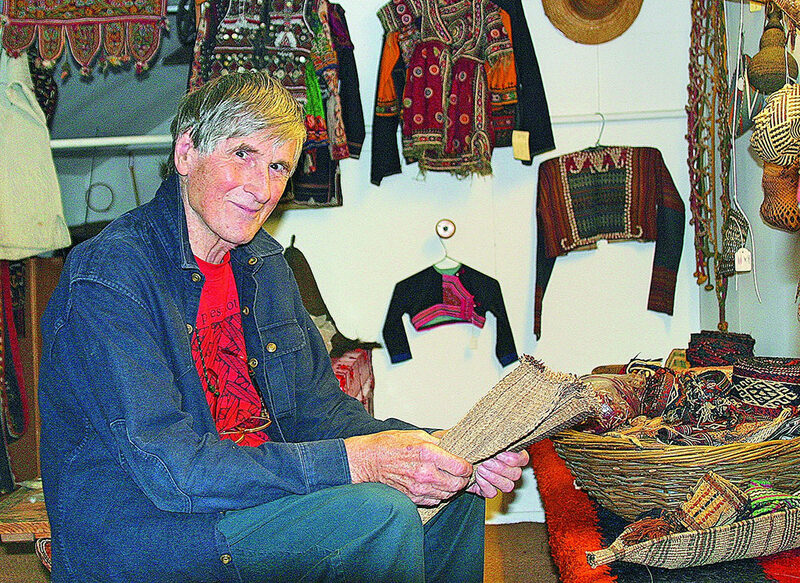 Collingwood’s first purchases of woven materials were made in his years as a recently qualified doctor, posted with the Red Cross, to help with refugees in Jordan, and he added to these throughout his life. This broad ‘Ethnographic Collection’ displaying both completed historic and contemporary objects and samples, from Indonesia to South America, Arizona to Africa, now resides at the Crafts Study Centre. The exhibition displays this research and study collection alongside Collingwood’s own work As a mature craftsman, Collingwood found his artistic voice. Preferring an ordered, graphic style, reminiscent of pencil-drawn lines over anything exuberantly expressionist, he produced works of great beauty, which hid their considerable technical cleverness within a quiet, contemplative physicality – very much like the man himself. This entry was posted on Sunday, February 11th, 2018 at 3:34 pm	and is filed under Events, Exhibitions, General, News. You can follow any comments to this entry through the RSS 2.0 feed. You can leave a comment, or trackback.